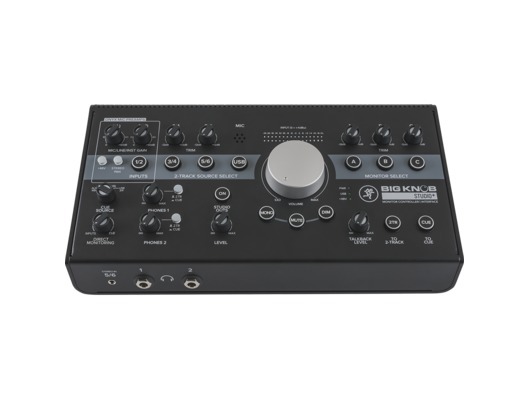 The Mackie Big Knob Studio+ is a 4x3 monitor controller and high-quality 2x4 USB recording interface for professional studio use. 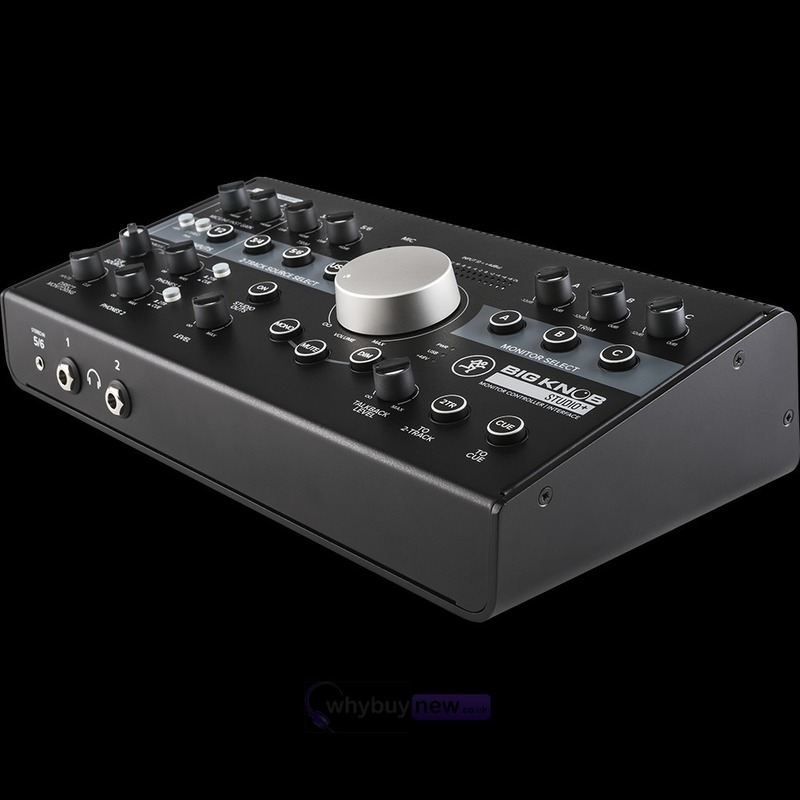 It offers a routing choice between four sources, three monitor pairs and high-resolution USB playback from a DAW with 192kHz / 24-bit audio conversion. 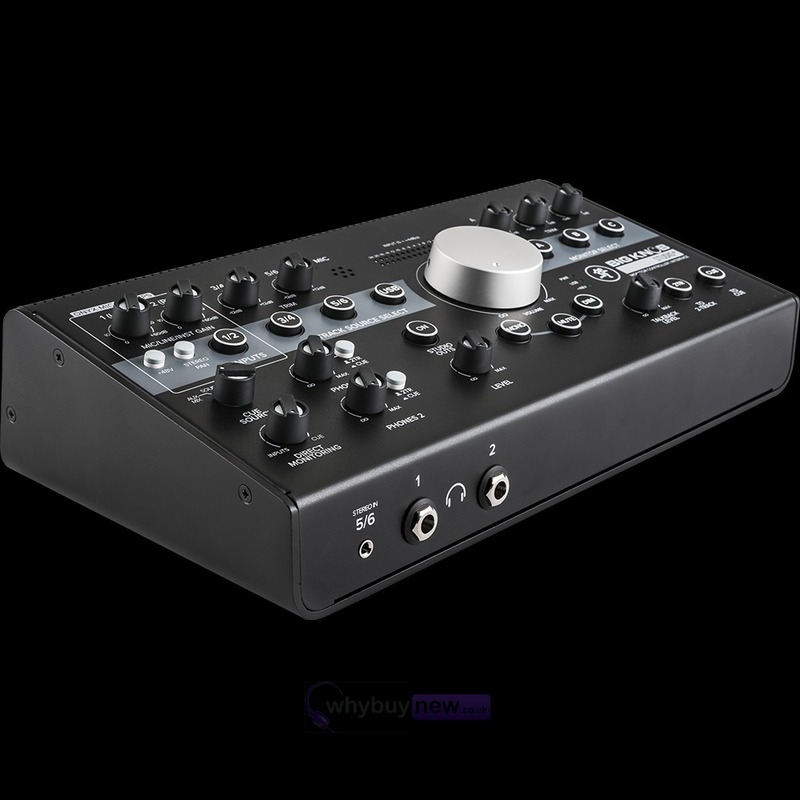 It also features other tools like a dedicated, amp-driven studio out for a headphone distribution system which are ideal for project and professional studios. 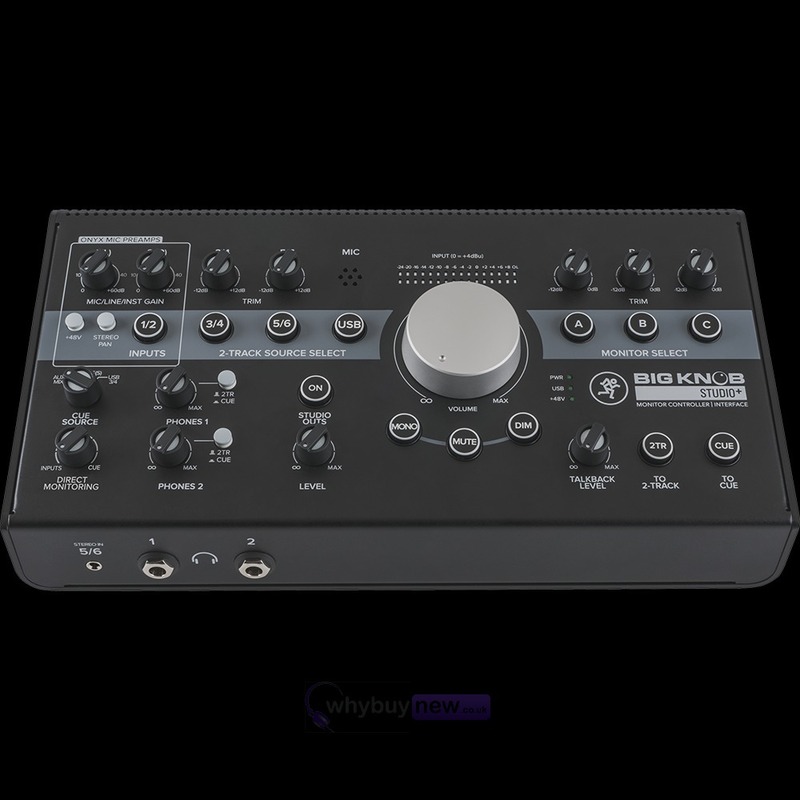 Mackie Big Knob Studio+ delivers a modernized, smart monitoring control solution based on the bestselling Big Knob, plus integrated USB recording and playback. Professional routing and switching includes a selection of four sources, including USB playback, and a choice between three pairs of monitors, each with independent gain trim to ensure balanced listening levels. 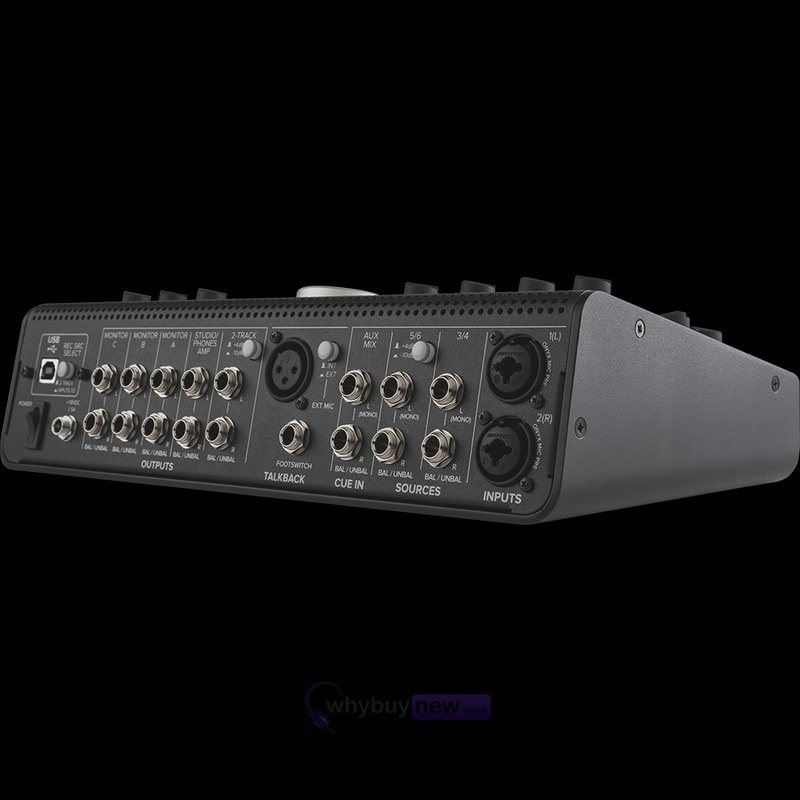 Two OnyxTM mic preamps deliver a convenient, high-quality desktop recording source coupled with high-resolution 192kHz / 24-bit audio conversion for solid sound quality whether recording or mixing. 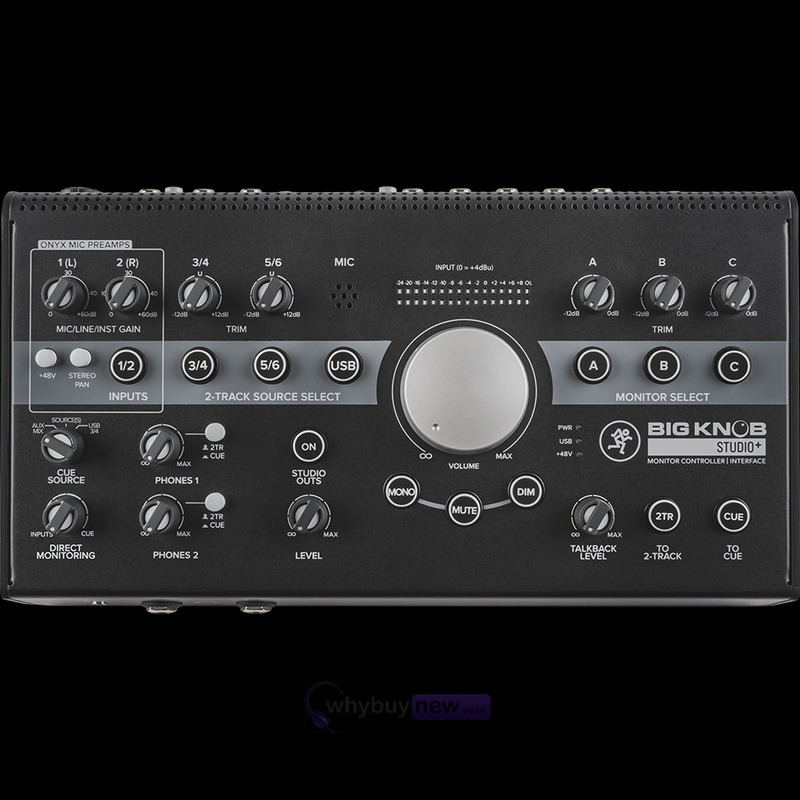 With dual headphone outs, a dedicated amp-driven studio output and flexible I/O options, Big Knob Studio+ is truly a nerve center for any professional studio.